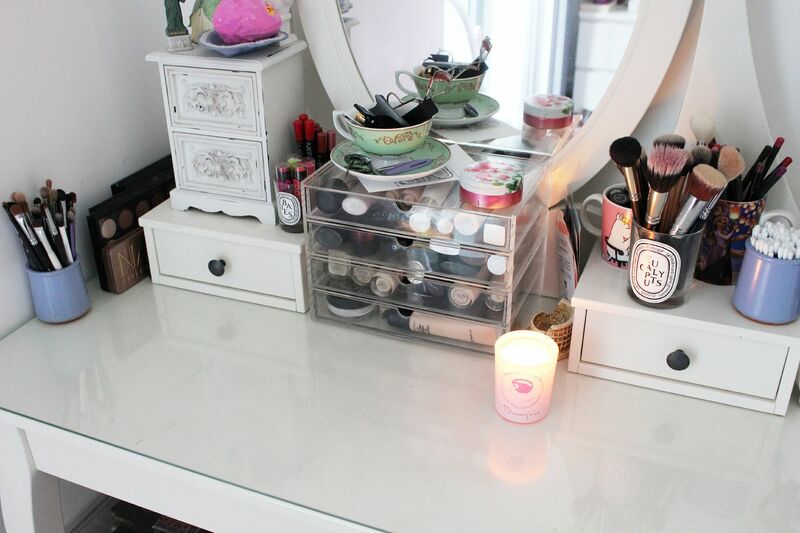 My dressing table is from Ikea, it’s the Hemnes one. 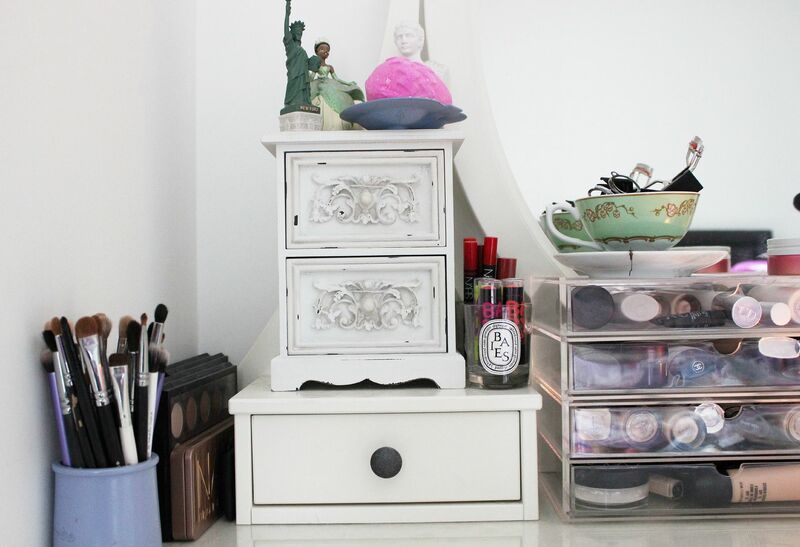 The drawers are the 2 wide ones from Muji, and the little drawers are from a website called Live laugh love. 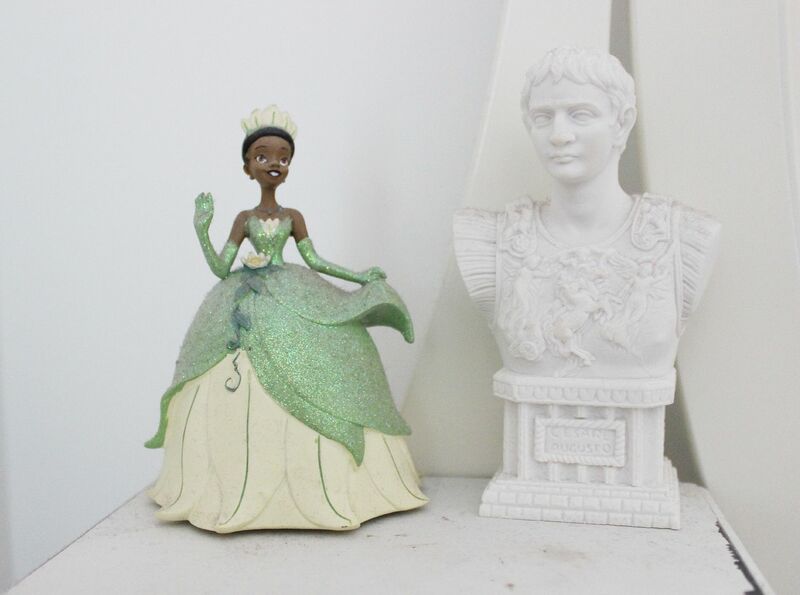 Princess Tiana and the emperor Augustus. Yup. 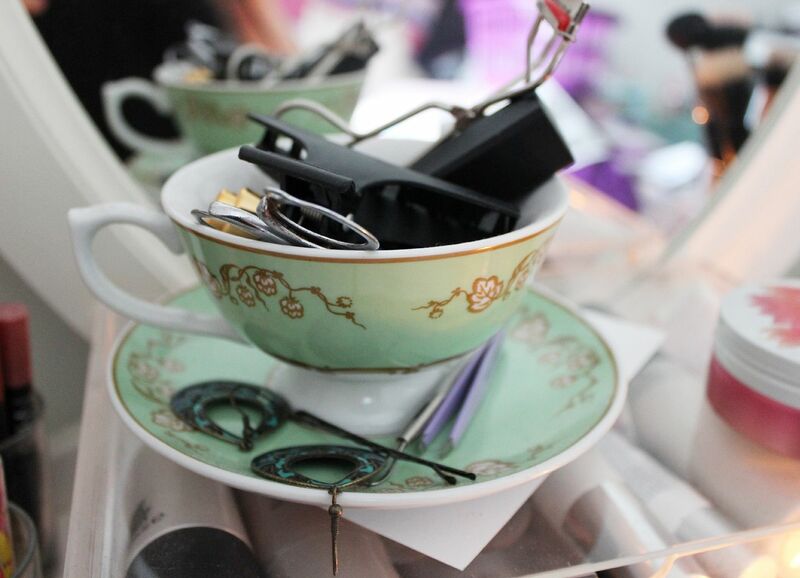 The ‘every day’ drawer, where my favourite stuff of the moment gets shoved in. Muji goodness. 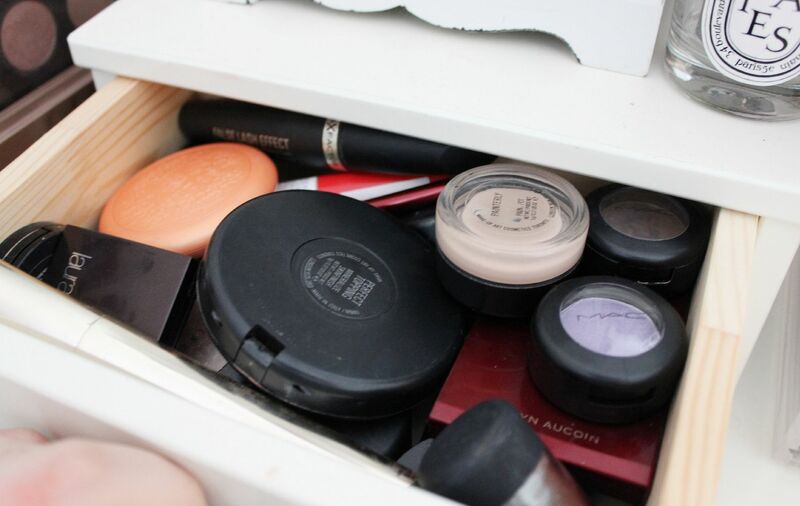 From the top to the bottom it has – primer, tinted moisturiser, foundations & concealers/powders. & a little Colosseum to the right. Did I mention I study ancient history? I have an old yoghurt pot (a fancy one!) 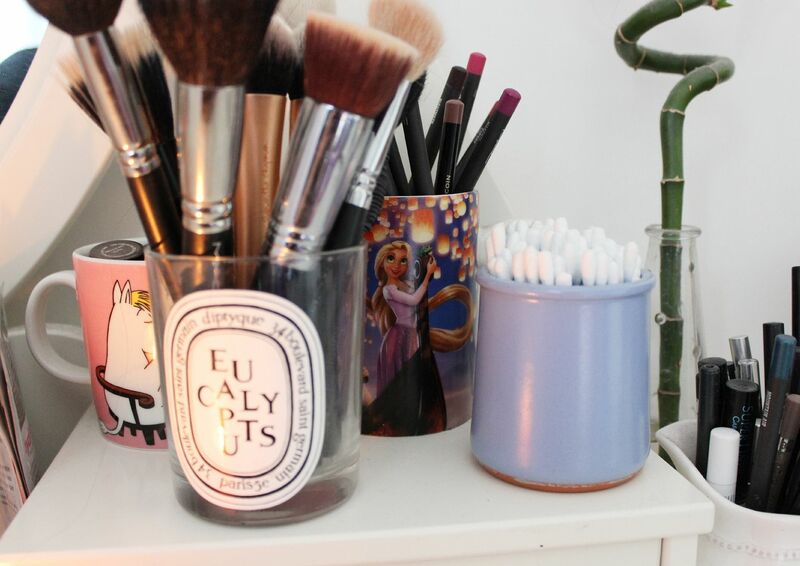 filled with cotton buds, a Tangled cup filled with lip liners, a Moomin mug with my favourite MAC lipsticks of the moment & my newly finished Eucalyptus Diptyque candle. All gone, sadness. 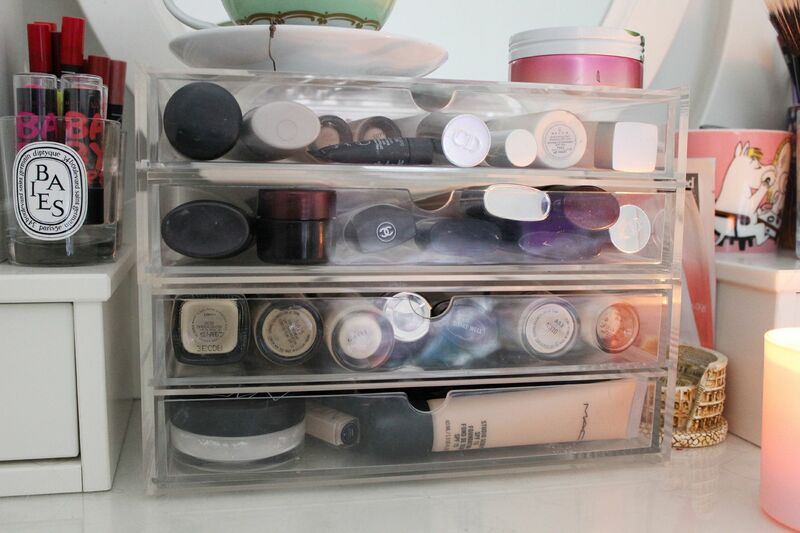 It now holds my every day makeup brushes.